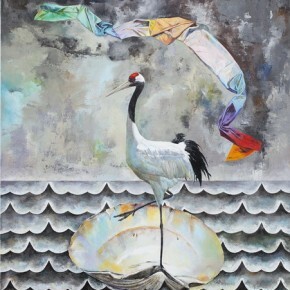 As Asia Art Center has completed the August Dragon themed “Finishing Touch”- Five Contemporary Young Artists Exhibition, the crisp design style of the exhibition and the highly imaginative creativity of the artists’ works on display, received warm accolades from art lovers and support from collectors. 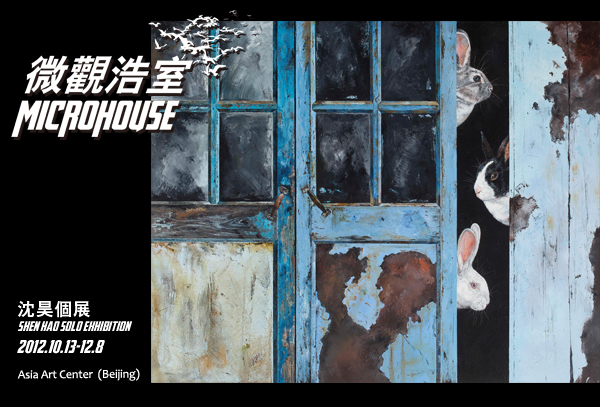 October 13, the Asia Art Center (Beijing) officially launched the premiere solo exhibition for Shen Hao entitled “Micro-House”, with nearly 15 outstanding oil paintings on display, reflecting the state and process of nearly two years of innovation. 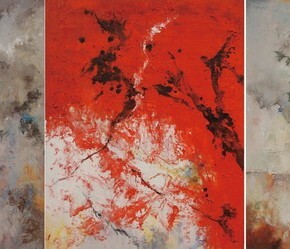 From his unique viewpoint and exquisite technique of expression, the viewers can experience the micro and macro perspective created from the paintings. 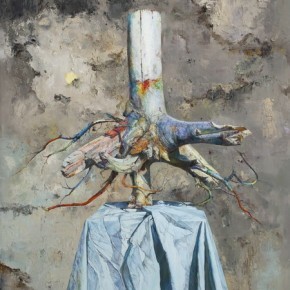 Shen Hao‘s education background of Central Academy of Fine Arts Printmaking Department and life experience accomplished his unique art language. 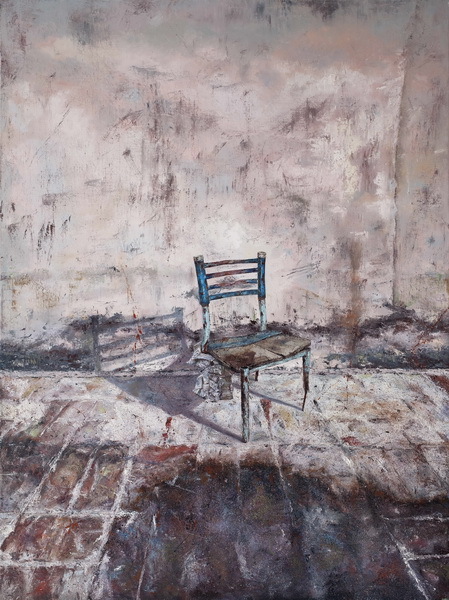 In his oil paintings, he uses the scraper and trivial items from daily life instead of painting brush, and adopts printmaking techniques, affording the colors a richly nuanced sense of layered depth, resulting in works which present a robustly diversified range of interpretative possibilities. 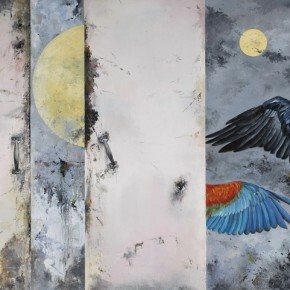 Shen Hao is a big fan of Rock’n’Roll, with its direct and vibrant sense, inspiring many of his works with their creative impulse, especially amidst a dialogue between the silent rhythms and strong beat of his heart, where the soul emits her light so naturally. This exhibition has been named “Micro-House”, as a result of inspiration from the electronic music of micro-house; borrowed from their musical style as a vast metaphor for nooks in the artist’s works as well as for the overall scenery and detail. 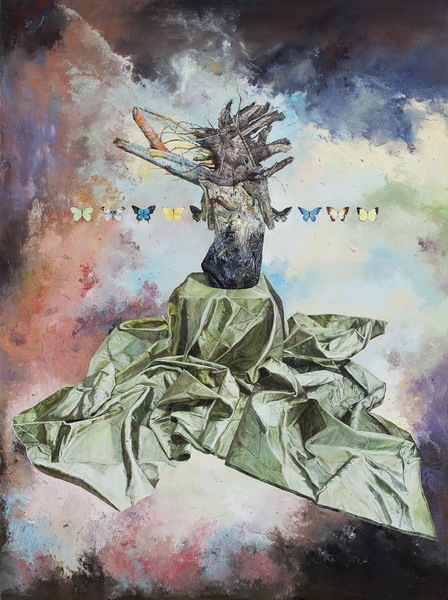 As each chapter reveals the attractive dance between the music and the paintings, his unique artistic language explains his development as a person, ideals for contemporary society, and expresses just how this inspiration moves beyond painting as it shows the artist’s assiduous vision. 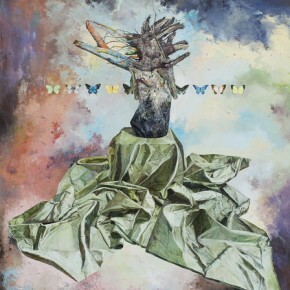 This solo exhibition, continues on his prior creation themes–portraying for content, which for the artist, reminds one of the passing of time, and how all of the spiritual emotions arise from the content, expressing our life experiences and emotions through such contact, and hence there are no people exist in his works. 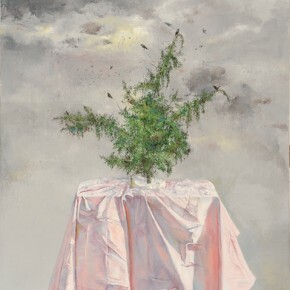 Additionally, literature aficionados Shen Hao is influenced by contemporary magical realism, as his creative processes borrow from magic to express external transformations in thought and judgment, which also create a sense of passing. 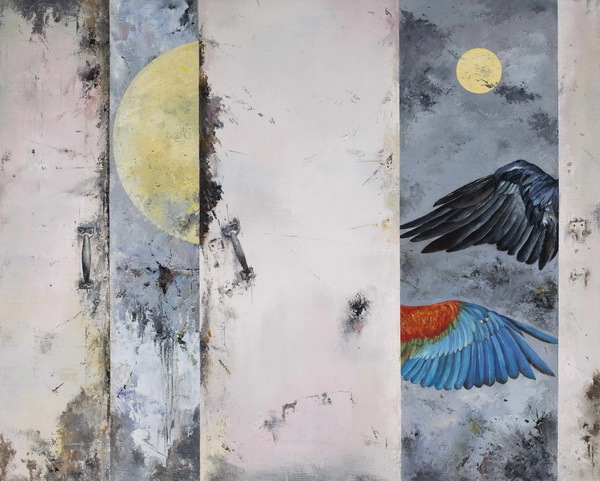 In his new work “Turning into Phoenix” and “Waiting For the Phoenix”, if one were to note how “Turning into Phoenix” reflects the existence of realism, then “Waiting For the Phoenix” could well be said to reflect a sense of the quest for idealism. 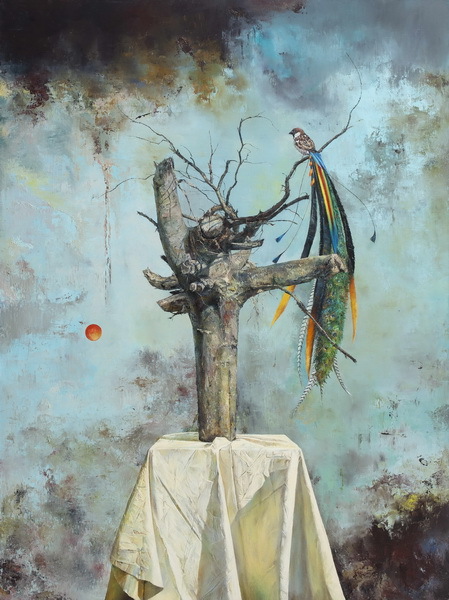 “Turning into Phoenix” reflects the habitat of a single sparrow atop a tree stump, which surprisingly expresses a stunning sense of sophistication amidst the humbleness, as the sparrow has dreamingly inspired a multicolored tail, but such an evolution appears to have already had its wings clipped. 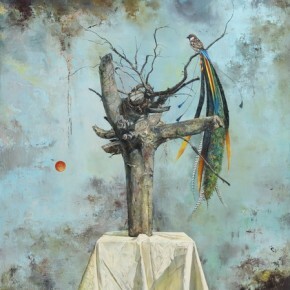 As the ancient Chinese proverb says, “the Phoenix only makes its habitat among the millennial phoenix tree”, while “Waiting For the Phoenix” uses folded cloth with only an old tree root standing, with a vast beauty, that attracts many birds, conveying an idealistic sense. 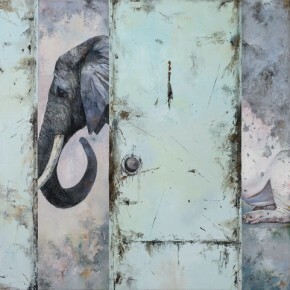 Additionally, answering the calls of many social developments in recent years, the artist created the completely new “Door Series”. 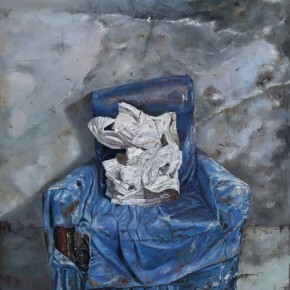 He used a playful technique to express his point of view to the variety of social elements, while also explaining a form of mindfulness and critique of contemporary society. 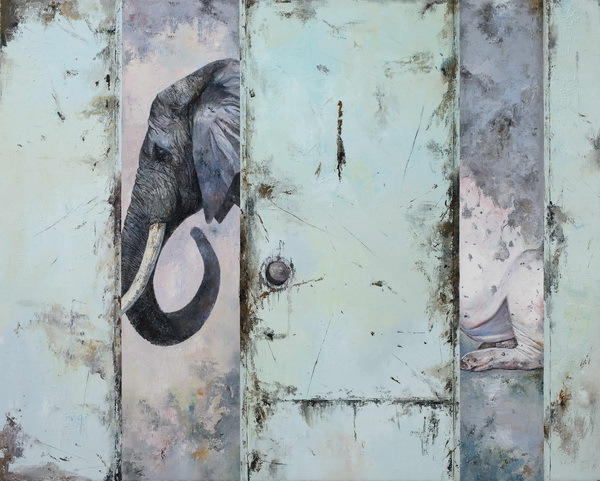 In the “Door Series”, the door serves to block our views, leaving only a superficial layer of rust before our eyes, with the slightly ajar opening through the door permitting a glance at the rabbit or bird’s wings or an combination of elephant and pig, like through a kaleidoscope of life, reflecting the rich variety of life, while hidden behind the door thus remaining the privacy of the individual’s life or the surging undercurrents of life, which impel the artistic spirit of curiosity, attracting our attention and confusing our thought. 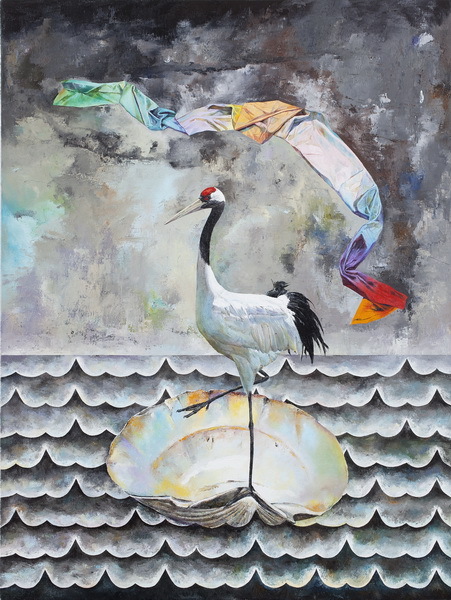 Asia Art Center has remained ever devoted to discovering and promoting talented young artists with global potential. 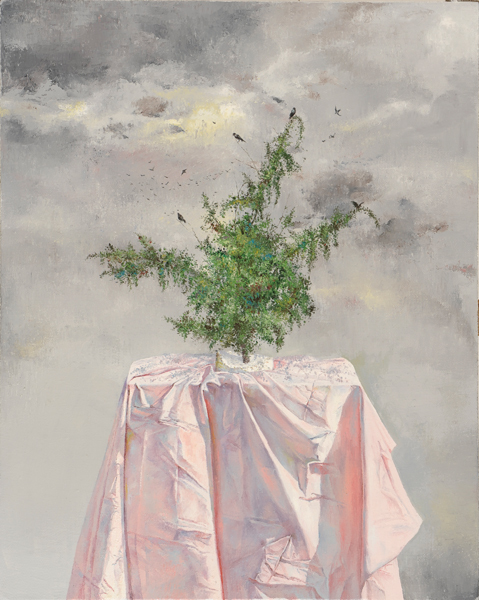 In this “Micro House”- Shen Hao Solo Exhibition, the outstanding works of the post-1980s artist will be on display. No doubt this exhibition will combine an artistic quilt of magic and realism in visual games, which will make his passion and calm emotions in the intersection. Courtesy of the artist and Asia Art Center, for further information please visit www.asiaartcenter.org.